Is it time to start making your own prints? Have you ever considered making your own fine art prints but thought it might be too expensive or complicated to get into? Read my latest article on the Breathing Color web site to discover how straightforward and rewarding it can be to print for yourself. One of the most misunderstood, and perhaps controversial, terms you’ll hear around the art world is “giclée”. It’s used in reference to a type of art print and is based on a French word meaning “to spray”. A giclée print is an inkjet print; however, there’s more to the name and the story behind it. The term was coined in the early 1990s, when digital inkjet printing first started to be used to produce art prints. Prior to this time, screen printing (serigraphy) and offset printing (lithography) were the primary methods used to make reproductions of artworks. At the time (and maybe still to this day) there was a common notion that inkjet prints had questionable value in the art market, and for understandable reasons. Early inkjet prints were rarely of very high quality. Colors were inaccurate; detail was often lost in the reproduction. Worst of all, most early inkjet prints could not be expected to survive very long before their colors started fading or shifting. For these reasons, along with skepticism and misunderstanding about this newfangled digital printing, people were dubious about purchasing anything made using the inkjet printing process. 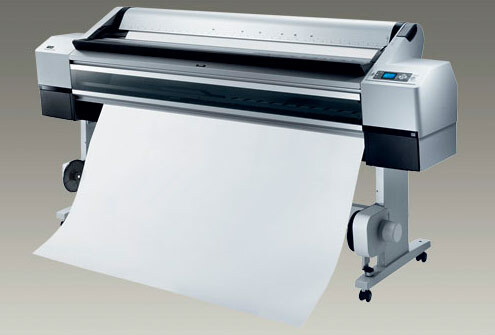 Epson Stylus Pro 11880. One of the best printers ever made! The term “giclée”, then, was intended to give a fancy name to a better quality of inkjet print; one that might be expected to have archival qualities—and the resulting value—that artists and collectors desire. Today, you’ll hear the word giclée bandied about very casually. What’s important to understand is this: while all giclée prints are inkjet, not all inkjet prints are giclée. In the fine art world—including fine art photography—correctly using the term gicleé means the print was made using archival methods and materials. A consumer-grade inkjet printer costing $200 can’t reasonably be expected to produce fine art giclée prints. The main issue is permanence – how long the ink and paper (or other substrate) will faithfully preserve the image. (When a color begins to change, it’s referred to as fugitive.) A giclée made to archival standards can survive 100 years—or even much longer—without significant change, whereas a lower quality print will start to degrade within a few years …or sooner! Most often, it’s a print on canvas that’s called giclée. In the case of fine reproductions of original paintings, giclée also often describes a print that has been embellished, by hand, with paint and/or other traditional mediums. Also, a giclée reproduction of a painting should match very closely the color and values in the original work—no easy feat. But technically, a giclée can be a print on any substrate, so long as it meets archival standards. in other words, you could accurately refer to a fine print on archival watercolor paper as a giclée. But this is not the most common usage of the word. If you’re a photographer or artist ordering prints from a service bureau and hoping to sell them as giclées, ask about the printing process. Be sure the materials are to archival standards. If you’re a collector or art specifier, the same rules apply, and the price of any print should always be relative to how it was made. If something is labeled giclée it should reasonably be expected to last for generations to come! Epson and a host of other sponsors are putting on a competition of panoramic photography; details are here. If you print your photos from Lightroom, you may notice that with different papers, the color and tonal output varies, even if printing on the same printer. This is because all different printer/paper/ink combinations result in varying range of colors and tones that can be accurately reproduced. In other words, if you print the same photo from Lightroom (or any other program, for that matter) on glossy photo paper, cotton rag art paper and canvas, each print will look different. So what’s a photographer to do? What paper (or canvas) to use? "I’m a landscape photographer (not professional) interested in making large prints of my personal collection. They would be mainly for framing in homes. 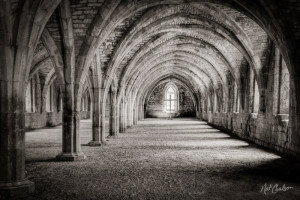 What would be the best medium to print large framed photographs? Can photos only be printed to paper, or do they look good on another medium with giclee. I would love to order some large prints of my photos." "I do a lot of fine art printing for landscape photographers. Most prefer "photo papers" for their work; that is, papers with either a satin or gloss finish. These papers show the widest range of tones and colors and hold detail very well. These prints are typically matted and framed under glass, but can also be laminated to rigid board (ie "plaque mounting") for a different look, usually without glass. My favorite photo papers are Ilford Galerie Gold Fibre Silk (satin) and Harman FB AL (gloss). Question from a client: When would you use PS for print with preview versus printing directly out of LR? My answer: Re: printing from PS vs. LR – the Print with Preview in Photoshop is not the main attraction here. It’s the soft-proofing beforehand, and the ability to make adjustments specifically for that print. If I want to make sure to get the absolute-best-possible print, I will still use Photoshop. I soft proof the file against a reference, make adjustments for the print conditions, and print directly from PS. But this only is really beneficial for certain images, on certain papers. For example, if I am printing a photo with lots of rich, deep, saturated colors, and it’s going on matte paper, I’d want to soft-proof and make adjustments in order to retain as much quality as possible. For most images, on photo papers with wide gamuts such as gloss or luster, the colors in the photo will fall within my printer/paper/ink’s gamut, and major adjustments aren’t necessary. When printing from Lightroom, I might make minor adjustments based on the image, such as opening up the shadows a bit (try Fill Light and Brightness) and boosting the Saturation by +5 to +10. As for the actual printing process itself, with the correct settings, there should be no difference in quality in PS vs. LR. And you can also sort-proof your files and prep them as necessary, then print them from Lightroom. Lightroom’s layout capabilities make it the clear winner when you have many images to print. These days the Epson R1900 is getting a lot of publicity and Epson is offering discounts. This printer is still at the beginning of its life cycle and represents Epson’s latest efforts/improvements; I don’t expect any newer technology advances from them in at least this calendar year. Right now Epson’s latest offerings are the addition of orange and green inks on “prosumer” models and Vivid Magenta on “professional” models. But neither represent a huge leap forward in color reproduction. If you’re ready to take the next steps toward more “serious” printing this would be a good solution; even better would be the R2880. I suspect the aggressive pricing in the R1900 is in response to market threats from Canon and to a lesser degree HP. I haven’t really kept tabs on these other printers; I’m sticking with Epson for the time being. These days I’m doing a lot of “giclee” reproductions of original fine art in a variety of media including pastels, watercolor and oils. I’ve found that Lightroom is an ideal environment in which to work up my master images. In particular, the HSL panel is an extremely useful tool when it comes to matching colors in the original paintings. I begin with a digital capture, either a raw image from a Canon 1Ds Mark III or a scan of a transparency (fromÂ my Epson 750M Pro). Whether working with a raw capture or a TIF scan, I’ve found that I can match colors much more easily in Lightroom than in Photoshop. If you do fine art reproductions, consider integrating Lightroom into your workflow. It’s made a world of difference in mine. *I will be publishing a white paper on Fine Art Reproduction with Lightroom this summer… stay tuned! Press Release: LONG BEACH, Calif. â€“ Oct. 8, 2007 â€“ Epson America Inc. today announced what many professional photographers are saying is the perfect blend of revered darkroom papers with the limitless creative control of ink jet printing with the introduction of its Signature Worthyâ„¢ Exhibition Fiber Paper. The paper will be available in 25-sheet packages of 8.5â€x 11,â€ 13â€x 19,â€ 17â€x 22,â€ and 24â€x 30â€ cut sheets. Many people ask about soft-proofing in Lightroom. The simple answer: there isn’t any. At least not yet. However, Lightroom is a color-managed application. So if your monitor is properly calibrated, you can trust what you see on screen – that is, until you need to preview the printed output for a specific printer/paper combination. 2. Select the “Edit in photoshop CS3…” command from the Photo menu. 3. In Photoshop, perform sharpening, soft-proofing and make any necessary adjustments for print. You can then either print the image from Photoshop or go back into Lightroom for printing. Tip: when youâ€™re done editing the file in Photoshop, make sure to use the Saveâ€¦ command and not Save Asâ€¦ This will update the linked file in the Lightroom database. One recurring theme I hear from people interested in contemporary photography is that itâ€™s hard to know what a specific print is worth. When soft proofing an image, it’s best to use a black background to surround both your working file and your reference image. In Photoshop, the only way to do this is to change the color of your desktop to black, and use the standard window mode to position your work and reference images side by side. If you want to make a test print of an image to check color, sharpness etc. it’s often best to do it at full size. Instead of printing a reduced size version of the entire image, find an area that represents the critical elements of the picture, and crop the image to just that area to make your test print. 1. If you care most about maintaining the color relationships in the picture, use Perceptual. 2. If you care most about maintaining the tonal relationships (dark-light), use Relative Colorimetric. Important Note: if you are using custom printer profiles, you should use separate profiles for Perceptual and Relative Colorimetric rendering intents.